Our combination of skill, experience, reputation and technology ensures that we can sell your home for the highest possible price and in the shortest period of time. We have the tools to meet the demands of our highly competitive marketplace, yet still promise a guaranteed level of personal service unsurpassed in the industry. No one has a more comprehensive marketing system to promote your home! We utilize every marketing tool available including online virtual tours, floor plans, professional photography, staging services and more! 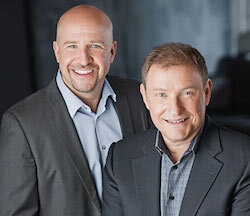 Gabe Bandel & Associates is established as the premiere real estate marketing specialist in the Cambie Village and Main & Fraser neighbourhoods in Vancouver. Our brand and name add credibilty to your listing in terms of price and professionalism. Our comprehensive local real estate marketing includes extensive direct mailings to ensure you get maximum exposure for your property listing! Better exposure, means more offers, which provides you with more money in your pocket! We will help you price your home competitively to attract the most qualified buyers. To ensure your home is priced right we will provide a detailed Comparative Market Analysis (CMA) report, which will show you a range of prices being paid for homes in your area. What is your home worth? 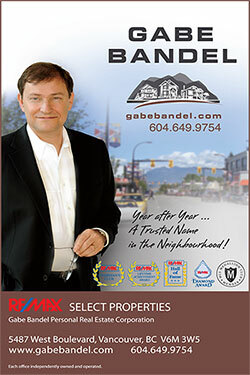 Just complete the online form to get started to find the true market value for your home, or contact Gabe directly to request a personal home evaluation and property listing consultation. We will be working for you every step of the way to make sure that you get the highest possible price for your home. We will work with you to make sure your home is priced right the first time, shows at it's best and has a comprehesive home marketing plan to ensure you get maximum exposure to potential buyers and the MAXIMUM results.